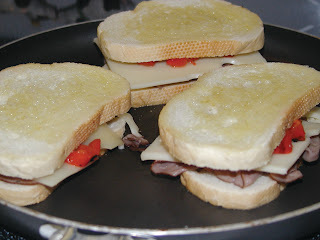 Hoosier Farm Babe : Roast Beef & Pepper Panini: Recipe #8 from Ready, Set, Eat! 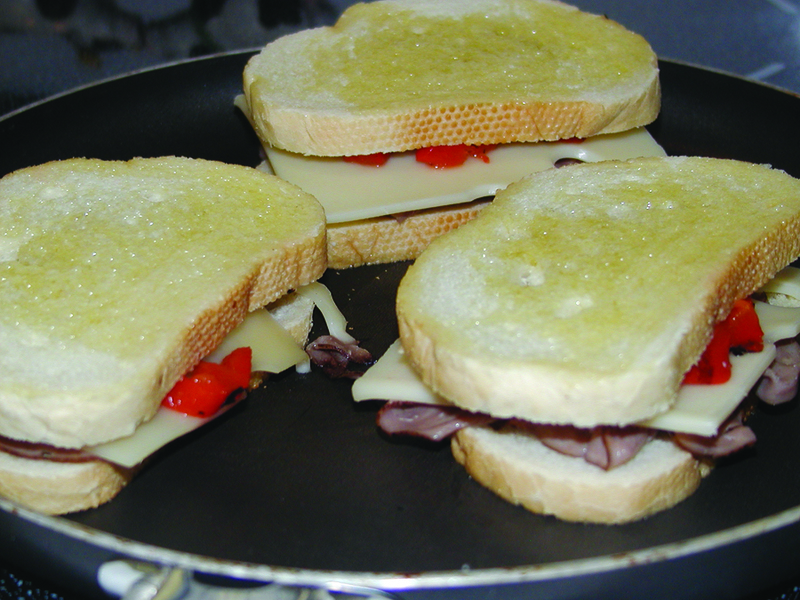 Roast Beef & Pepper Panini: Recipe #8 from Ready, Set, Eat! I have to admit, I'm not super experimental in the kitchen. It may be because Big D is so super picky. And I tend to like to cook things that I'm confident I know everyone will love instead of cooking something questionable and being forced to give up and fix PB&Js. Well I went out on a limb here a little when I surprised Big D with these Roast Beef & Pepper Paninis. It wasn't grilled cheese or ham & cheese ... therefore it was subject to big time scrutiny. And I think ... he liked them ... because they were eaten so fast that I didn't get a chance to snap an after shot. Slowly, but surely I'm making my way through 10 recipes of Gooseberry Patch's Ready, Set, Eat as part of the "In the Kitchen" series with the Real Farmwives of America. Thanks for being patient! As soon as I'm finished I'll be giving away my second copy of Ready, Set, Eat! Top 4 slices of bread with roast beef, cheese, peppers and olives (I actually omitted these since I didn't have any in my pantry. Brush oil over both sides. Heat in large skillet until golden and cheese is melted. Your favorite sandwich shop couldn't make them any tastier. And no sandwich press is necessary, but if you have one that's a bonus! These look like a great working mom meal, so I am featuring you this week over on Hunk of Meat Monday! !